NASA/JPL/ESA Final Image from Cassini Saturn space probe before plunging into the planet. A REMARKABLE VIDEO TRIBUTE TO EARTH’S CASSINI SATURN PROBE BY NPR, NASA AND JPL. For the five minute video produced by NPR’s Adam Cole Click Here. 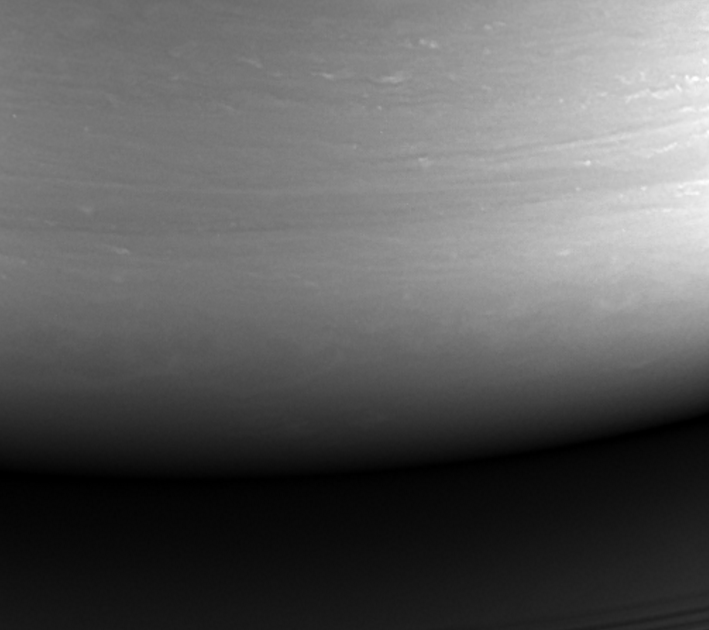 This monochrome view (top of blog post) is the last image taken by the imaging cameras on NASA's Cassini spacecraft. It looks toward the planet's night side, lit by reflected light from the rings, and shows the location at which the spacecraft would enter the planet's atmosphere hours later. TAKE AWAY IMAGE BY CASSINI OF SATURN.